Used trucks for sale in Thornhill can be found at our Pfaff Audi Vaughan dealership. If you are looking for a used truck, we recommend that you check out our website or contact an Audi representative at our dealership today. Pfaff Audi Vaughan is home to some very high quality new and pre-owned vehicles, and we are confident that you will be able to find the used truck that you are looking for with us. We don’t just sell Audi vehicles at our dealership either. When looking for used trucks for sale, our customers can take advantage of our representatives to find one that suits their needs, wants, and desires. Read on for more information about how to find used trucks for sale in the Thornhill area at Pfaff Audi Vaughan. Looking for a used truck? Have you exhausted you search at other dealerships who don’t have exactly what you are looking for? Many of our customers don’t know this, but you can find used trucks for sale if you go to our website at www.pfaffaudi.com. This 2012 Ford F-150 is available at our Pfaff Audi Vaughan dealership, and you can take this truck for a test drive at your earliest convenience. If you are looking for a used truck for sale in the Thornhill area, like this 2012 Ford F-150, but the truck sells before you have time to take it for a test drive, NO WORRIES! 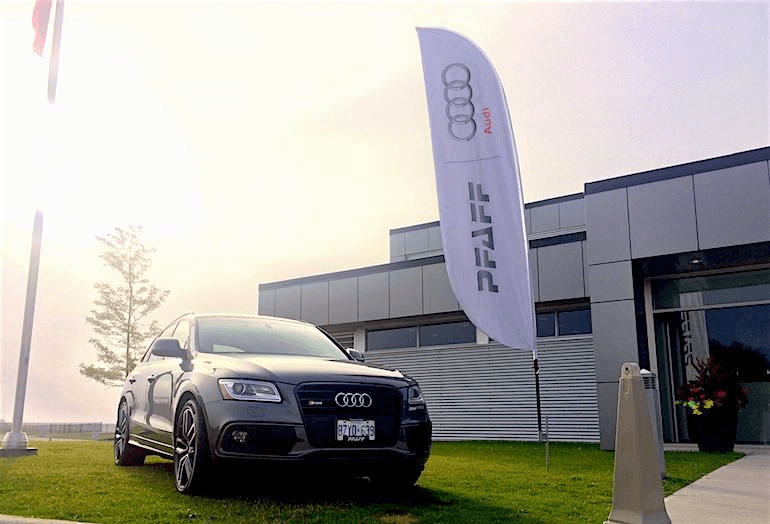 Our representatives at Pfaff Audi Vaughan will do our best to find you a used truck just like it at our other Pfaff Audi dealerships. For more information about used trucks for sale in the Thornhill area, please feel free to continue browsing through our website. Click here to find our contact numbers or to fill out our contact form.